What do you do when you want a divorce but your spouse has left to go to a foreign country? How do you serve your spouse with divorce papers? It can be a very complex and scary process; even to a lot of lawyers. To commence a divorce action, there must be personal service on a spouse, meaning that a copy of the petition may be served on your spouse by sheriff or certified process server at their usual place of abode with any person residing therein who is 15 years of age or older and informing the person of their contents. The spouse may also be served at their employment in a private area designated by the employer after contacting the employer. Service may also be made on a spouse doing business as a sole proprietorship at their place of business by serving the person in charge of the business at the time of service if 2 attempts to serve the owner have been made at the place of business. International service of process is governed by the Hague Convention on the Service of Abroad of Judicial and Extrajudicial Documents in Civil or Commercial Matters and the Inter-American Service Convention “IASC,” with an Additional Protocol. There are some countries who are not a part of the Hague Convention and special rules apply for these countries. Letters Rogatory is a form of service recognized under the Hague Convention and may be the only permitted form of service in some countries. This procedure involves a formal request by the court addressed to a suitable court in the foreign jurisdiction for issuance of process. Service is accomplished by foreign personnel with a foreign summons. The process can be lengthy and will probably require local foreign counsel to assist with the foreign jurisdiction’s rules and protocol. Service by central authority is provided for under the Hague Convention. 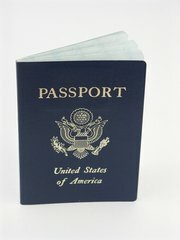 It is service of an American summons that is accomplished by appropriate foreign government personnel, often the police. Process can be initiated by a Request for Service from the U.S. Marshal’s Service. International registered or certified mail is provided for under the Hague Convention, but not all Hague Convention countries permit its use within their territory because parties may opt out of one or more forms of service under the Hague Convention. Service in person by agent is also recognized under the Hague Convention, but not all Hague Convention countries permit its use within their territories. Service would be accomplished face to face with the cooperation of a foreign advisor. Service by publication may be used if the spouse cannot be located after diligent search for the spouse. However, issues of child support, child custody, and/or division of property cannot be made until the spouse is located. The easiest and cheapest way to effect service is waiver of service where you ask your spouse to waive formal service and accept the petition. Under the IASC, a Request for Service form can be completed from the U.S. Marshal’s Service to initiate the process for service through a central authority. International Service of Process and how Florida law applies can be a complex process and an experienced Jacksonville family law attorney can help you with this process. 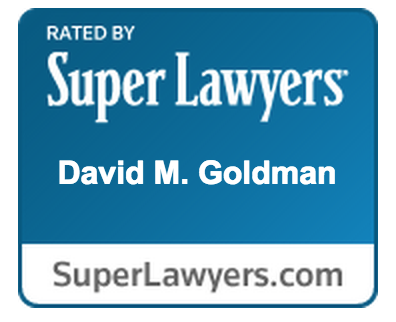 Contact the Law Office of David M. Goldman, PLLC for more information and a consultation.